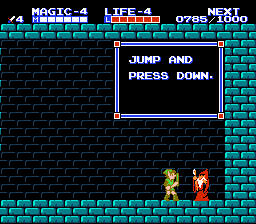 I looked and couldn't find a patch for Zelda 2 on the Famicom Disk System, so I decided to try and translate it myself. I've put together a patch that changes the dialog to English. It leaves in a lot from the original USA release, plus I corrected a few things, shortened a lot and changed a thing or two. You can download it at this mega link. I've hardly tested this thing, so if you're interested I would love some feedback. Plus if the dialog completely fudges up at some point you can let me know. I'm going to test it as well, but I'm not sure how fast I'll be getting through the game. It's been a while since I've played and this version may be harder than the original. Moderator Note: Was moved out of Personal Projects because it's moreso for WIP projects. I have an FDS Stick that I am going to try this with on a real Famicom Disk System. I'm still waiting on my FDS to come in through the mail, so I'll report back when it arrives. Nice job. Out of curiosity, does the FDS hardware have the ability to display variable width font..? NES carts with enough VRAM can. This could help you put in more text but you could always expand the textboxes. Really the only requirement is VRAM, with enough free tiles to hold an entire window worth of text, as well as enough free RAM to use as a buffer for rendering the VWF text. As well vblank time to transfer the data from RAM to VRAM. 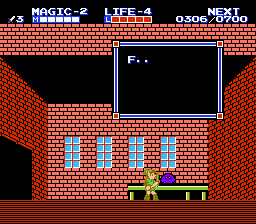 I think I looked at Zelda II's textboxes briefly once (on the NES) and I recall it draw each line of the window as a string of border/space tiles. Whether or not you could scrape up enough free space for a replacement routine to generate the window from different sized dimensions, I don't know. Whether or not you could scrape up enough free space for a replacement routine to generate the window from different sized dimensions, I don't know. 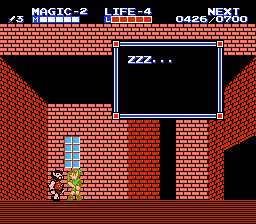 I think getting rid of the double-spacing (which a few games, like Dragon Warrior, did) would give plenty of space without having to resize the windows. Looks great, Columbo. Thanks for this. I can't believe it hadn't been done sooner. I'll be trying it out on my NES Classic, so I'll let you know how that goes. Luckily the FCD version is easier (in my opinion) becuz you can max out your strength faster. You know though if you get a Game Over you lose all that, though? This is great, can't wait to try it! I've always preferred the Japanese version because of the sound/music. Wow. I didn't know that. I guess I never got far enuf to get a game over. I think I've only beaten the first palace. Did you find anything different about this game compared to the NES version? How did the music sound like? Some pretty major issues with this translation patch. Not seeing a whole lot with the actual script so far but there are other issues. Namely, items not spawning. 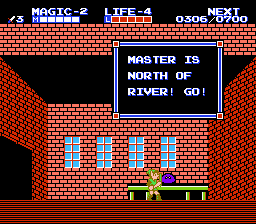 Their locations are essentially identical to the NES release. Among items not spawning are magic and heart containers, bonus exp bags, and most importantly, items that are required to learn certain spells essential to completing the game, like the trophy that teaches you the jump spell. I can't go beyond the first palace without the jump spell. Sanctuaris should perhaps be spelled Sanctuaries? Did this patch not fix the bad English that was in the original game title sequence? "AWAKEN THE ANOTHER SLEEPING PRINCESS ZELDA"
Ok, it looks like the items are back in the game proper, now I can kinda dig through this. Most of the issues seem to be some dialogue locations being incorrect. 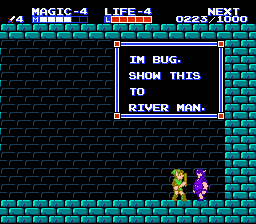 A missing "a" in "may" in this shot, when the riverman grants you access to the bridge after you see Bug. 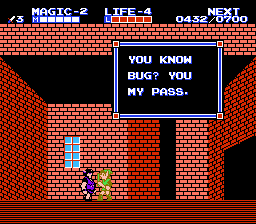 Bug's correct dialogue is currently being used by the swordman who teaches you the downstab. 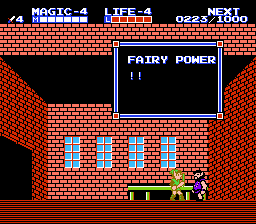 While the swordman's correct dialogue is being used by the magician who teaches you the Fairy spell. The magician's dialogue is being used by an NPC who at least in the American version asks you to visit Error in Ruto for a hint as to the Island Palace location. 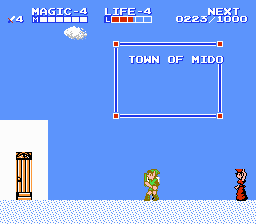 Here the "Mido" line can be moved down to the next line instead of bleeding onto the dialogue box as it is now. Those are the errors I see so far. What was the deal with the items missing? Did I overwrite something I shouldn't have? Or was that just in the updated patch? Ahh. Good info! Looks like I have some work to do. It seems there are no good dumps of this game to be downloaded anywhere on the net every place I found had the same bad dump. So I had a friend dump his and send it to me,then I was able to fix the issue. I'm not sure how much space you have to work with, when it comes to adding more text. I know I had very little when it came to the first Zelda game. The best advice I can give you it to save it for where its needed most, and steal it from where its not needed like towns people saying Hello could be Hi instead. I cant get this game to run at all in nestopia. It always throws the same error corrupt or missing file. anything i might be missing here? It worked before patch 2.2 but now the newest patch 2.2 will not work on nestopia. It throws an cpu jam/corrupt file. In trying to get the items to appear I think the changes corrupt the image for nestopia. The missing items is actually a common problem that is remedied quite easy. Columbo, can you help to get this final version working on Nestopia again please?